Was checking out some wine tastings yesterday and had a (red) wine recommended to me that was not on the tasting menu. As we got to talking about great grapes and new world wine (my favorite), the pourer/sampler/whatever you’d like to call them, recommended Meiomi Pinot Noir from California. The grapes are from 3 regions in the state — Monterey, Santa Barbara and Sonoma. Quite unique — definitely a light color (very Pinot), but was tough to nail down the flavors at first. Got a bit a spice, then some light vanilla/candy, and a bit of fruit. Also, a vintner who’s using screwtops, if that’s something that catches your attention. Worth trying. At the great store of Rodman’s in DC (a wine lover’s pitfall, among two others in the area) it was $16. A friend was traveling in Europe a few months back and was very kind and brought me back some German brew. Finally popped it open during the football games last weekend. It’s Holzar-Bier, which comes in a nice flip top, 1/2 L bottle. It’s 5.2% ABV and a dark amber. A tiny bit bitter, in a good way, and very unique. Will definitely see if I can find it around here. I love getting my Bon Appetit magazine each month and there is one recipe in there I’ve been eyeing for awhile from the January issue. Finally got around to making it last weekend while watching (yelling, screaming, cheering, crying, and finally celebrating) the Seahawks game. It was the Collard Green Salad with Cashews and Lime (they mention you can easily substitute kale for the collard greens, which I did). Delicious, filling, vegetarian, can make it lactose-free (as in non-cow milk). Process ½ cup cashews, 2 Tbsp. grated cheese, and 3 Tbsp. water in a food processor (I used a mini prep — fun! ), thinning with more water as needed, until a smooth, creamy paste forms; season with salt and black pepper. Set cashew paste aside. Whisk anchovy (paste), oil, lime juice, 1 tsp. pink peppercorns (for those who follow recipes to the dot), and 2 Tbsp. grated cheese in a large bowl; season with salt and black pepper. Coarsely chop remaining ½ cup cashews. Add nuts and collard greens to large bowl. This salad was delicious! Very hearty and lots of flavor. Next time I make it I think I’ll throw some garlic in there, too. Was roaming around Whole Foods the other night looking for something to make for dinner and came across something I hadn’t seen before — Calamari Steak. I’ve had rings and thin calamari tubes, but this stuff was amazing. About 1/2″ thick and 1/2lb per steak. Had to give it a try. Unfortunately neither of the guys at the seafood counter had any idea how to cook it so did a little research while waiting in line to check out. I found info that said season and pan sear for about 1 minute per side. That sounds easy enough. I just used for garlic salt and Florida Seasoning from Penzey’s for seasoning. To pair with this, I also sauteed some kale and mushrooms in sesame oil. When I was at Whole Foods I also came across some Manchego that was on sale. Love Manchego because I can actually eat it because it’s made with sheep’s milk vs. cow’s milk. Lactose intolerant folks can bear it! So, with all said and done, enjoyed a great meal of calamari steak — which was a bit chewy, in a cool way, kale & mushrooms, manchego and olives. Not too shabby, at all. In the fall I took the WSET (Wine & Spirit Education Trust) II wine course (which I posted about after each class) through the Capital Wine School. We learned about wine, from start to finish, how to smell it, taste it, know it, rate it, x, y, z. Then, there’s of course a test when you take a course. This thing was hard. I hadn’t studied for an exam for awhile (at least a non-open book one) and you would think studying about wine would be fun. I didn’t get around to making flashcards, but was close (and some people did). I studied for hours and it was a multiple choice test! When all was said and done, I passed. I have know successfully completed the WSET II Course. Debating III…it’s pricey and apparently that test it even worse. Multiple choice, essay and blind tasting. But, we’ll see, it could be fun. Taste on, my friends, taste on. Last week I had my monthly supper club and the theme was Food From a Place You Want to Visit/Love to Visit. South Africa is on my (near future) itinerary so I did some searching for a dish from there. I finally decided on Koper Pennie Wortel Slaai (Copper Penny Carrot Salad). It’s fresh veggies and quite the ‘dressing’. Cut carrots and onions into rings. Boil carrots 15 minutes with a little salt. During the last 6 minutes, add the onions. Dice green peppers or chillies. Add carrots, onions and chillies or green peppers in a low bowl. (Remember not to use stainless steel bowl, as it will cause a reaction due to acidity). For the sauce/dressing, combine all ingredients and bring to boil for about 5 minutes. Pour hot sauce over the vegetables. Refrigerate for at least one day. Enjoy! For the balance of the meal, some food came from Italy with a Tuscan Bean soup, the Southwest with some great spicy beans, Northern Africa with some Moroccan Chicken. Delicious all around! Over the past month, I’ve had a nice spread of new wines that I’m finally getting around to posting about. From red to white to bubbly, I love trying new happy grapes to add options to my wine rack. 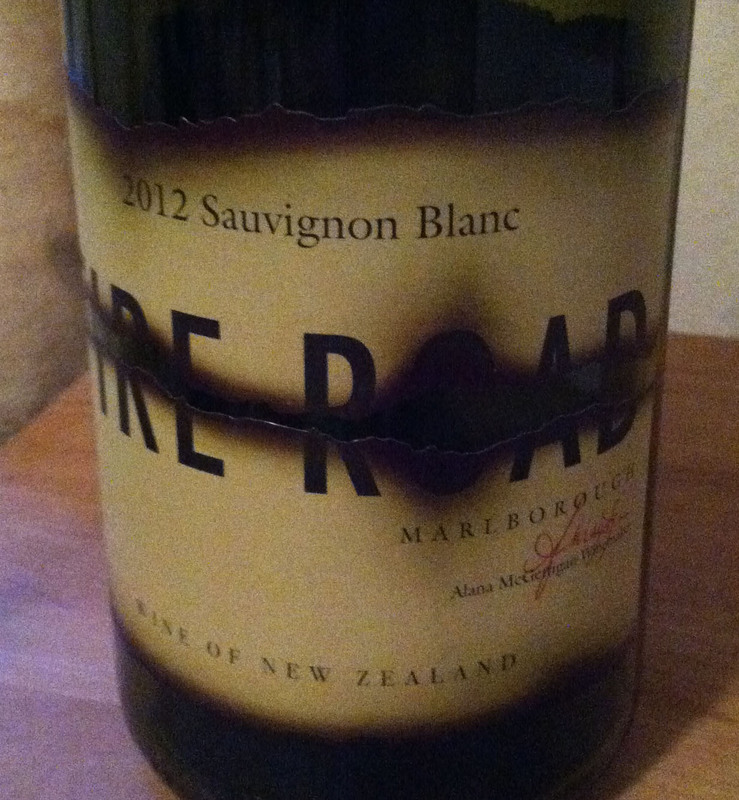 #1 — Fire Road Sauvignon Blanc, New Zealand. Citrus, apple, crisp, light, but still a nice weight to it. Price seems to range from $10-$16/bottle (when looking online). 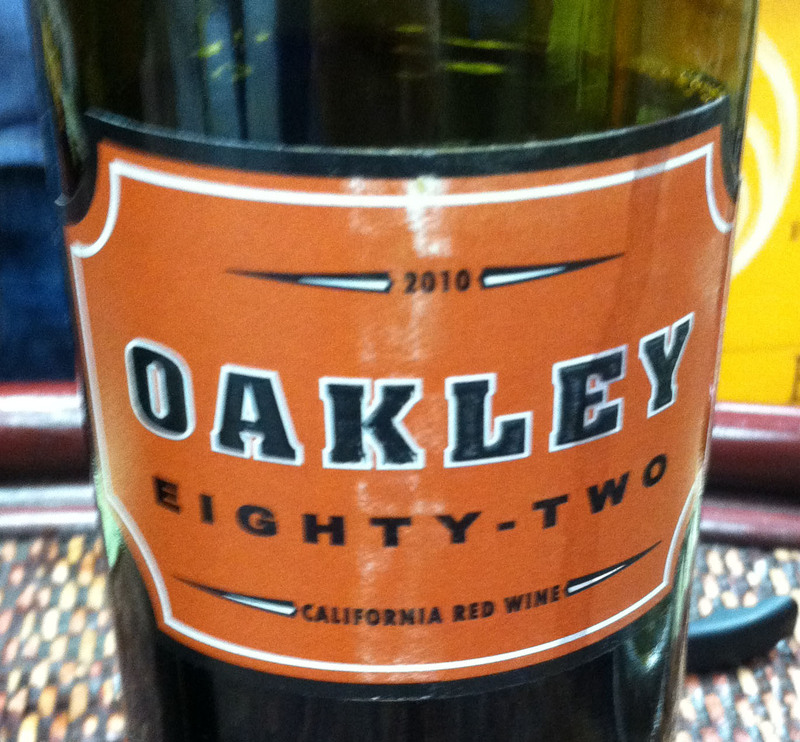 #2 — Oakley Eighty-Two, California Red Wine. Who makes this one? 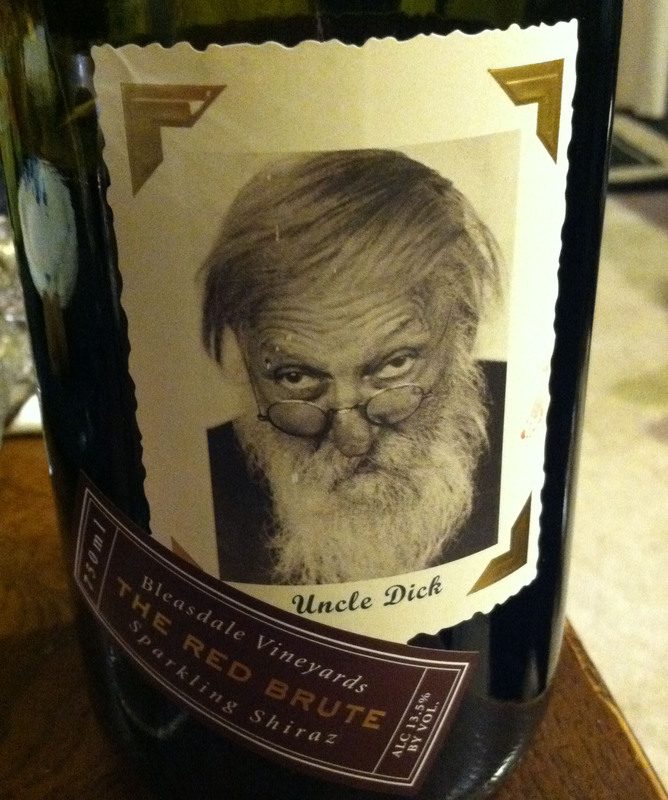 One of my favorite vintners — Cline. Nice red blend that’s a bit heavier (jammy) and can pair with about anything. Great to have on hand to open and serve (or drink) whenever needed. Price is about $10-$12/bottle. 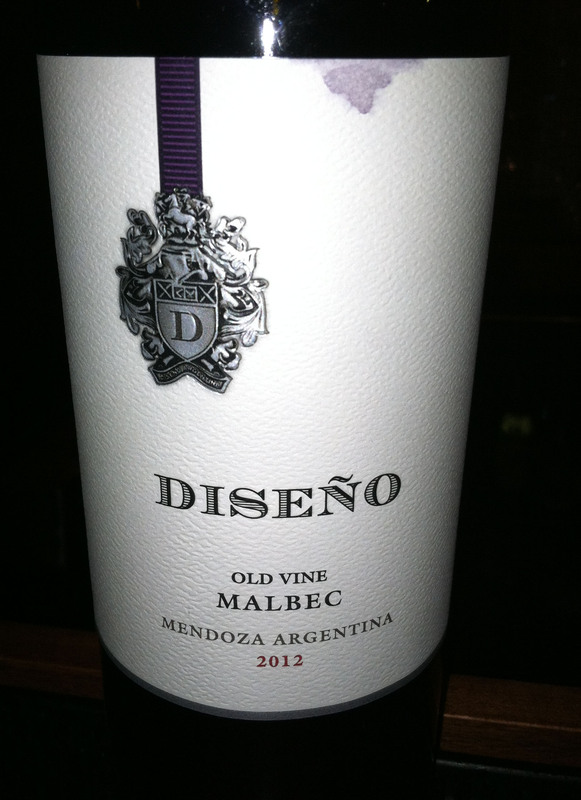 #3 — Diseno Old Vine Malbec, Argentina. Fruit and spice can make a wine so nice. Price is $8-$10. #4 — Bleasdale Vineyards Sparkling Shiraz, Australia. I seek out sparkling reds. This one is better than some but a bit sweet. Was drinking it on New Year’s Day, though, so very fun for the occasion. Definitely worth trying. Price is $16-$20. Note, the picture in the link is different than the one below, they might have changed the bottle/label. #5 — Alvarez de Toledo Roble, Spain. Just a nice red wine. I was at a friend’s place for dinner and it was out and it was so nice. Doing some searching looks like it’s about $8-$10 bottle. 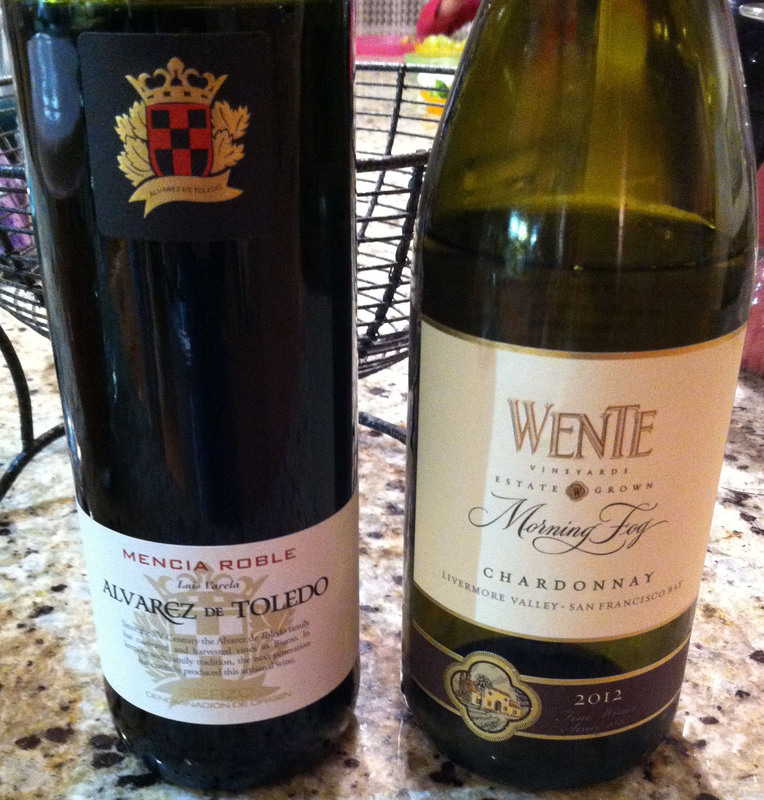 Wente Chardonnay, Livermore Valley, California. Some apple, some tropical fruit. Aged in both barrels and stainless steel tanks it’s a very unique wine. Definitely a Chard I’ll add to my list. About $12-$14. 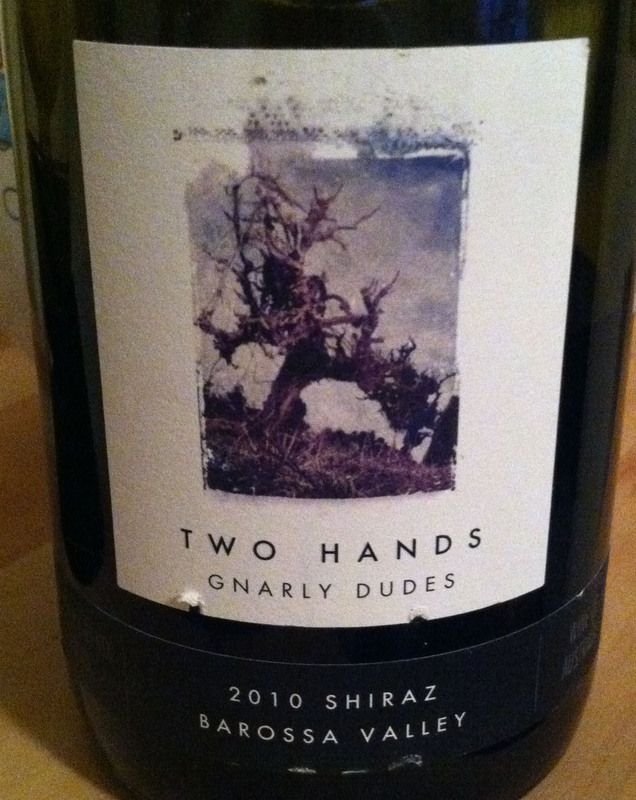 #6 — Two Hands Gnarly Dudes Shiraz, Australia. Berries, a hint of chocolate and smoke and a bit of pepper. Very nice. About $20-$25. I was very fortunate this week to be able to return to a restaurant I visited several years ago, though this time it was just for a basic corporate lunch. It was nonetheless just as amazing. The location, Brasserie Beck in Washington, DC. It’s a “contemporary European style brasserie” with a basic yet widespread menu. Both times I’ve been there they have made amazing accommodations for dietary restrictions (lactose intolerance). The first time the chef wanted to make something totally new as a challenge. They are well known for their beer selection, boasting 9 Belgium drafts and over 100 Belgium bottles. Darn, why was I there on a business lunch this past time? 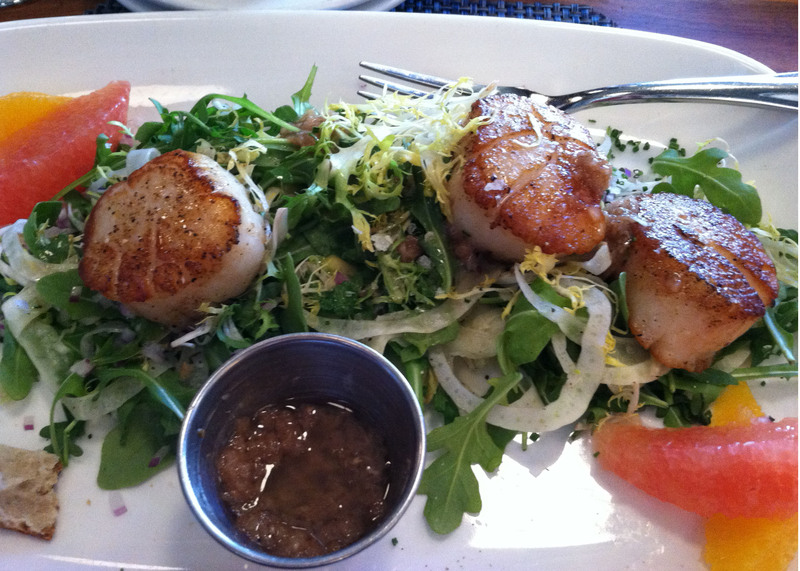 For my meal I enjoyed an amazing Diver Scallops Salad — Avocado, Citrus, Shaved Fennel and Rocket Salad. This is where they used oil to pan sear the scallops vs. butter. My colleagues each enjoyed the Grilled Hanger Steak Salad — Mixed Greens, Charred Scallions, Warm Fingerling Potato Salad, Blue Cheese. None of us had a bite of food left on our plates. Would recommend checking this place out for lunch, dinner or just a nice happy hour. There was a stat a few years ago that Bethesda has the most restaurants per capita in the country. Not surprising. And, as mentioned on a recent post, new places are opening all the time. What can also be great about living right here is that these new restaurants send you coupons for FREE food. Ahh, that lovely, rarely heard word. Love it. 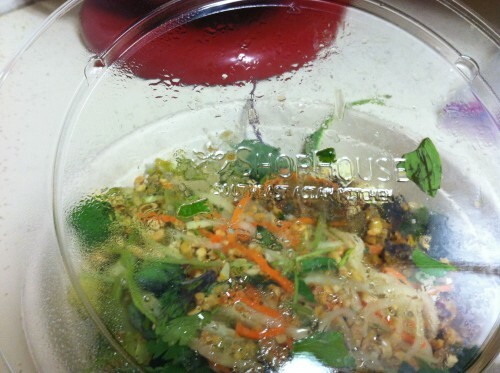 So, recently, another new place that opened its doors is Shophouse. Ever heard of a place called Chipotle? Yeah, thought so. Owned by the same people, Shophouse just took inspiration from another continent. So, the Asian flair is coming into play now and it’s pretty cool. You (only) get a bowl (as in no burritos, my friends), pick your rice, meats, veggies, sauces, toppings, check out, eat. They also note that the entire menu is dairy free and gluten free. To start, you get brown or jasmine rice, noodles or salad. Then you pick meat — grilled chicken satay, grilled steak laab, chicken & pork meatballs or tofu. Next veggies — broccoli, charred corn, eggplant and thai basil or green beans. Then sauces — tamarind vinaigrette, green curry, spicy red curry. To be followed by garnishes — green papaya slaw, pickles, herb salad. And rounded out by toppings — toasted rice, crispy garlic, crushed peanuts, thai chilis. You can get samples of everything so it’s a great way to get a taste of things. They have fires/flames next to options that indicate levels of heat. As in the green beans, hello! You can also divide ingredients, as in get half/half. So, say get corn and broccoli. But, you can’t go three ways without paying extra. I opted for a brown rice and lettuce with grilled chicken satay. 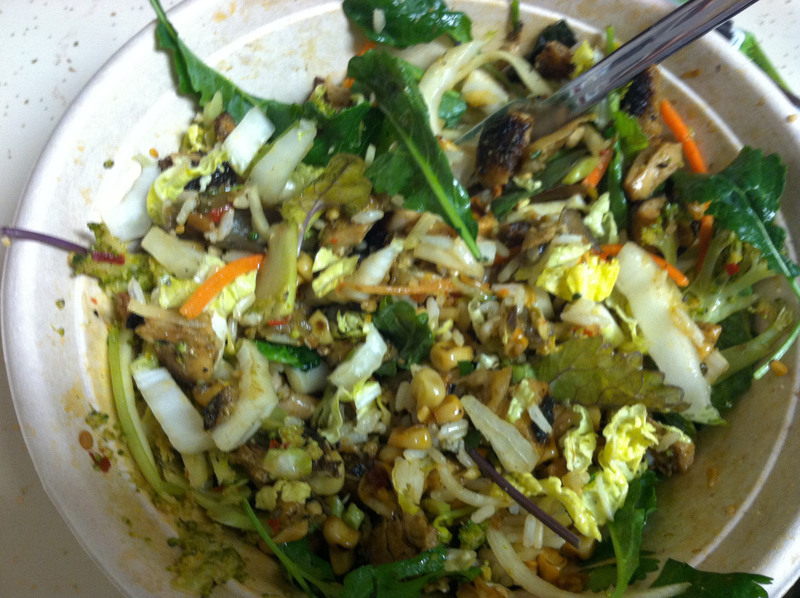 Then topped it with broccoli, corn and eggplant (yes, went extra), papaya slaw and herb salad and peanuts. Then handed them my nice FREE coupon so the price was great (got the 3rd veggie for free because it was my first time there, so nice!). The regular cost for the chicken bowl was about $6.80, and it was huge. I easily got 2 meals out of it. So, another place to check out if you want to add to your list.